It will be difficult for Uzbekistan’s new president to bring about foundational change without moving toward some kind of glasnost. Though Uzbekistan’s tightly controlled political system has its limits, Mirziyoyev will have to loosen the reins in one way or another. On December 4, Uzbekistan held its first presidential election since the death of Islam Karimov, who had ruled the country since it gained its independence from the Soviet Union in 1991. The result was unsurprising, with Shavkat Mirziyoyev, Karimov’s longtime prime minister, winning by a wide margin. The election’s main intrigue concerned the proportion of votes that Mirziyoyev’s opponents would split among themselves: in the end, Mirziyoyev received 88.6 percent of the vote—slightly less than the 91 percent that Islam Karimov received in the previous election. Though Mirziyoyev seems to recognize his role in creating the “giant dragon,” it was Karimov himself—his phobias, biases, fears, and complexes—who really made the dragon roar. Mirziyoyev’s challenge going forward will be to separate the narrative of his regime from the negative elements of Karimov’s legacy. The freeing of the oldest political prisoner in all of the former Soviet republics suggests that Mirziyoyev’s regime is trying to do just that. Samandar Kukanov, a seventy-two-year-old ex-director of an oil refinery, had spent twenty-three years and four months in prison—basically the entire lifespan of Karimov’s Uzbekistan. It is another political prisoner, however, who will be the true litmus test for the regime. Muhammad Bekzhan is the brother of Karimov’s political opponent Muhammad Salih, the leader of the opposition party Erk, who lives abroad. Bekzhan is considered to have been Karimov’s personal hostage and has been in prison since 1999. Karimov’s successor will also have to deal with Gulnara Karimova, the forty-two-year-old daughter of the late president who disappeared from the public eye in 2014 but continued to cause significant problems for her father’s administration. Mirziyoyev’s PR team has been energetic and promised much thus far. The new president has pledged to enact a law to fight corruption, suggested liberalizing the currency market, and announced an amnesty for entrepreneurs. If these promises become a reality, they may mark the start of an Uzbek thaw. But it’s hard to even imagine the kind of resistance the new leader will encounter from the hydra of the entrenched elite. And are such changes even possible without the support of a society that fears publicly discussing its problems and has no free press? Karimov’s powerful, despotic character defined the behavior of an entire generation, if not two generations, of Uzbek elites. Karimov’s habits—even in his personal life—became a reference point for the behavior of everyone around him. Administrators at all levels, especially at the top, strove to anticipate his desires and bent to his mood. It will be difficult for Mirziyoyev to bring about foundational change without moving toward some kind of glasnost. Though Uzbekistan’s tightly controlled political system has its limits, Mirziyoyev will have to loosen the reins in one way or another. The Mirziyoyev team recently introduced a novel plan that is quickly gaining popularity: an official online forum through which citizens can levy complaints and air grievances. Unfortunately, many are already complaining that the forum is turning into an arena for denunciations. So far, the signs of a new political era have been most visible in foreign policy. 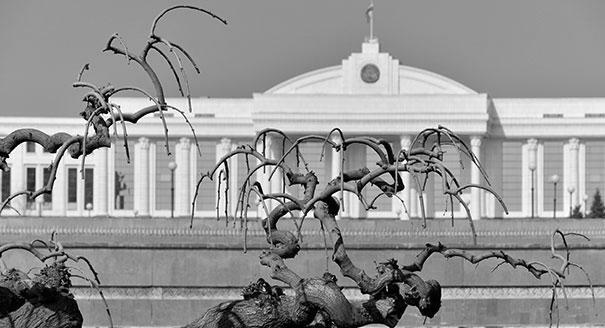 From the first days of Mirziyoyev’s interim presidency, Tashkent has been mending relations with its neighbors in Central Asia. Uzbekistan is literally at the core of Central Asia, bordering all of the region’s countries. Under Karimov, Uzbekistan forged separate, careful relationships with each of its neighbors. Mirziyoyev, on the other hand, seems serious about putting Uzbekistan at the center of the region’s power structure. There has been positive movement in Uzbekistan’s relationship with Tajikistan, which for many years had been weighed down by the complicated personal relationship between Karimov and Tajik leader Emomali Rahmon. Indeed, the lowering of tension at the Tajikistan-Uzbekistan border (some sections of which have contained minefields since the end of the last century), the promise of freight and rail transportation between Tashkent and Dushanbe starting next year, and increased diplomatic contact all give reason to be optimistic. Serious, long-standing conflicts on the disputed border between Uzbekistan and Kyrgyzstan have also begun to move toward resolution. Though we shouldn’t expect any quick fixes, there now seems to be a desire to come to some sort of resolution. 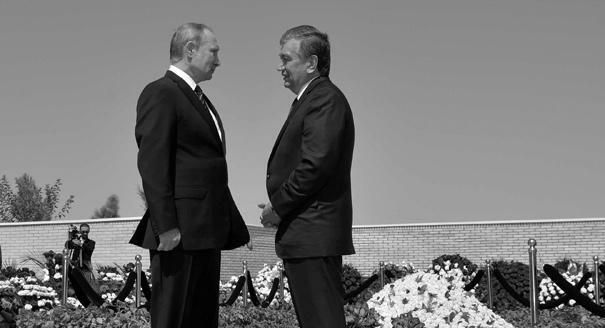 The future of Russian-Uzbek relations is not so cut and dried. It is unlikely that Uzbekistan will enter into relationships that put its military-political sovereignty into question: this means no foreign military bases on its territory, no participation in military blocs, and no joint action between Uzbek and foreign troops outside the country. At the end of the day, nobody in Tashkent wants to move beyond a bilateral relationship with Moscow. Uzbekistan does not want to be tied down by obligations in multilateral organizations, which Tashkent believes would benefit Russia. 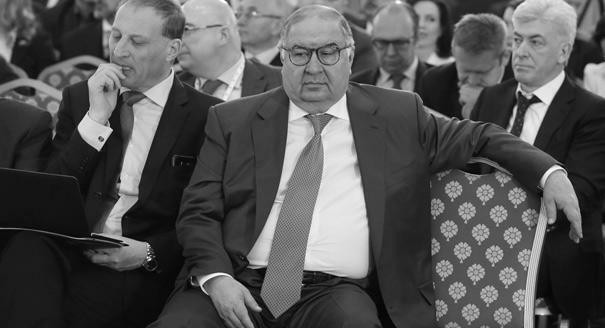 Does the Kremlin Have a New Agent of Influence in Uzbekistan? What Will Uzbekistan’s New President Do?